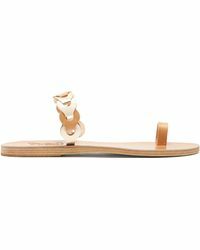 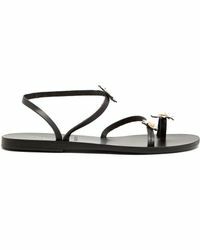 Created by designers Christina Martini and Nikolas Minoglou, Ancient Greek Sandals blends contemporary design with traditional techniques, resulting in beautifully made shoes. 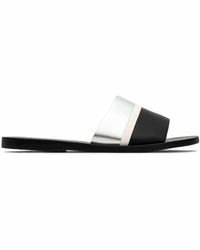 This line of luxurious leather flats is inspired by the designers' love of Grecian mythology and historical fashion. 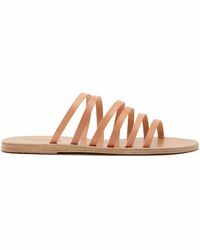 A refreshing take on this classic shoe design, Ancient Greek Sandals should be at the top of every girl's lust list this summer. 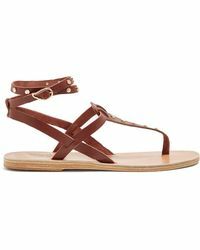 Comfortable and expertly crafted, Ancient Greek Sandals flats will keep you running around all day long.